Recently I’ve gotten into looking at browser-based games that are either free or have an optional pay model. One such game is Tiny Warz, a Massively Multiplayer Turn-Based Strategy Game (or an MMTBSG if you like alphabet soup). The game is free to play but of course there are some restrictions that are only lifted if you do pay for what are called “TinyDays”. Still, even without paying to play the game is very open and accessible. Not to mention fun. A couple weeks ago, having found that I had 900 or so Republic Credits Microsoft Points, I decided it would be a good idea to grab the last DLC pack that Bethesda has released for Fallout 3. 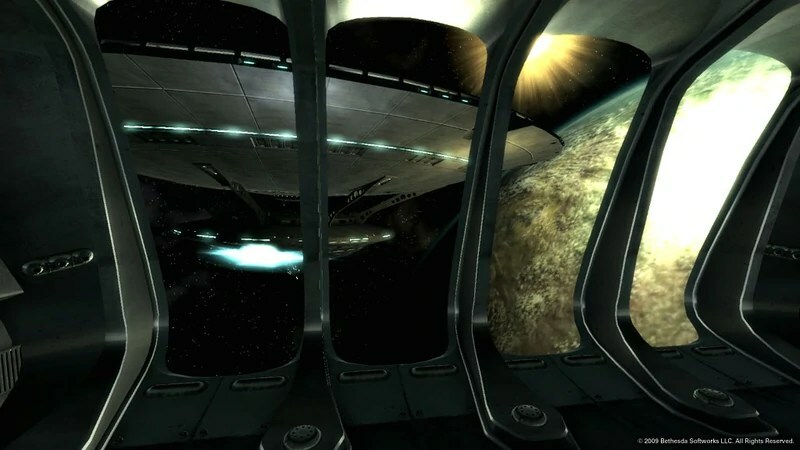 I am of course talking about Mothership Zeta, which probably takes you the furthest possible distance in any Fallout game since you wind up in space. I’m going to try to avoid spoilers but be warned there might be a couple here or there. So read on, carefully.